Last year at Microsoft Ignite, Microsoft announced Windows Virtual Desktop also named WVD. Windows Virtual Desktop is an Azure-only service. Back in the early days, I wrote a blog on it – https://robbeekmans.net/euc/microsoft-windows-virtual-desktop-an-azure-only-windows-offering/. As time went by and Microsoft designed the solution, the solution changed and this week it became ready for a public preview. In this blog, I like to review the solution. I will shed a light on different aspects and answer questions I see on social media where the wildest ideas are spread. Which operating sytems are supported? The discussion on social media was around Azure stack and on-premises workloads. I even saw a few suggestions that it would be possible to run workloads on AWS. FACT: WVD is an Azure-only offering. There is talk about Azure-stack but that’s all there is right now. There is and will be no on-premises offering. Also, the suggestion of being able to run on AWS and connect to WVD are not true. Azure only and future plans for Azure stack. Microsoft 365 E/A3+, F1, Business OR Windows 10 E/A3+ OR Win10VDA p/u are the licensing pre-requisite for MicrosoftWindows 7 ESU, Windows 10 Enterprise and MicrosoftWindows 10 Enterprise Multi-user. There is one thing to keep in mind, customers are entitled to WVD but they will get a different bill for compute. Compute is not included in the entitlement, something you need to know. Nothing surprising. Last year Microsoft announced the acquisition of FSLogix – https://robbeekmans.net/euc/microsoft-acquires-fslogix-to-enhance-office365proplus/. FSlogix will be used to enhance user experience in WVD. You cannot have a Windows 10 solution, single or multi-user, with some kind of caching of O365, Outlook cache and search. FSLogix will take care of that if you have the right licensing. There are other products out there that can help is you don’t. The question on everyone’s mind, according to social media, is how is it licensed? I saw numerous posts and threads about FSLogix being a WVD-only offering taking it away from an on-premises solution. Let’s set this straight. FACT: FSLogix will be licensed with the following licenses: Microsoft 365 E/A3+, Windows 10 E/A3+, Win10 VDAand with RDS CAL. What does this mean? It means anyone with any of these licenses can run FSLogix, in WVD, on-premises, in AWS, in GCP and anywhere you want. what is the use case here? Customers right now using this in an on-premises virtual environment or in any other cloud can store settings/cache with FSLogix technique and move to e.g. Azure without losing those settings/cache. When will this be available? the message is soon, not right now but soon. I added a table to clarify this, you need to scroll a bit as my template seems to be a narrow one (one more thing on my list to look at). From a partner perspective, I also saw some statements from companies where they claimed to be a partner as well. This is the latest overview of the partner landscape and although Samsung and PeopleTech are added. So Microsoft has created a small partner network to allow partners and customer to pick tailored solutions. From monitoring WVD with Lakeside to Printing and WVD with ThinPrint to the solutions from Liquidware together with WVD. Samsung is a new partner on the list and they work closely with Microsoft to offer connectivity through there DEX offering. Citrix is also there and most debates on social media is about Citrix so let’s take a deeper look. A mature and advanced protocol that can manage any workload (even combined workloads) and jitter/latency hammered connections. If the customer has a hybrid scenario where Azure/WVD isn’t the only location for the workloads. Citrix is the only partner in WVD that can offer that hybrid solution. 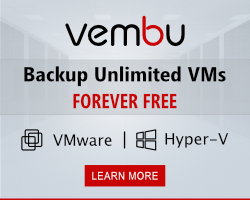 A centralized management solution, cloud-based, for any workload, running on-premises on any hypervisor and in any cloud. Context-awareness where policies, apps or desktops are provided based on various criteria. End-point analysis where end-points are scanned if they are secure if AV is deployed and updated and so much more. For me, a couple of reasons stand out, the fact that Citrix offers a hybrid solution. In fact, the only one in the market to offer a true hybrid solution. One console from where your managed workloads on any platform on-premises or in any cloud. This has been a reality for Citrix customers for years and the number of platforms to deploy on has just grown with one more, WVD. With the FSLogix entitlement being available for nearly everyone this enables so many options. customers can move their workloads around, use the best of Citrix and Microsoft and have an amazing user experience. One console to manage all those workloads is a very important one to look at. I can’t imagine any 20-30K+ customer going all in for WVD, it is just not the platform for that kind of numbers. I can see that same customer running those 30K+ desktops through Citrix on Azure and use the newly Citrix Managed Desktop offering (where Citrix partners with Microsoft) to deploy x desktops for seasonal workers or temporary workers. Perhaps even as a quick desktop for a newly acquired company to get them up to speed fast. HDX with all its maturity and improvements over the years is one very good reason to use Citrix I think. There are too many scenarios where you need a very smart protocol able to understand how it has to handle that jitter or latency. Another strong reason for HDX is that it understands what is on the screen, so a video is treated differently from text or a static picture. Making sure the user experience is optimized. Three reasons, I think, Citrix add value on top of WVD. So while I say congratz to Microsoft I also think the Citrix portfolio got stronger as well with another platform to deploy to. Good for customers.